The grace of a loving God cannot be measured, but it can be honored with this beautiful gold cross pendant. Apples of Gold brings the simplicity of faith into this pendant, creating a stunning piece of jewelry. 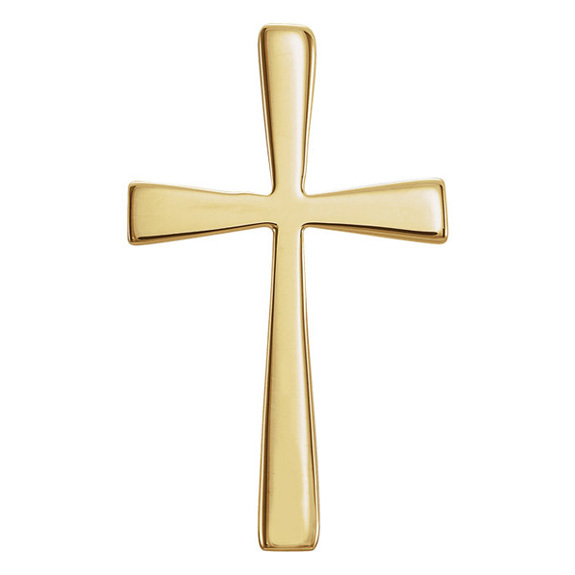 The cross pendant is made of 14K yellow gold for classically beautiful style. The ends of the arms of the cross are wider than in the center to give a slightly tapered style. The simple design speaks volumes about faith without being flashy, which is perfect for your every day jewelry needs. 18mm x 11mm (3/4" x 7/16"). We guarantee our Crux Immissa Cross Pendant 14K Yellow Gold to be high quality, authentic jewelry, as described above.